Wii U Go: What made you decide to do an RPG in this style? Dan: I have always loved classic RPGs, my favourite game of all time is Suikoden. 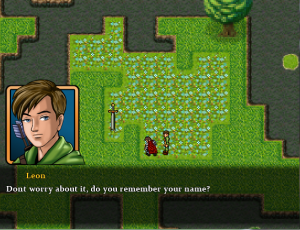 I grew up playing all of the the classic retro rpgs people love to reminisce about now. In my opinion there are very few classic rps that pay homage to those awesome classic games! So I decided to make one. I am totally in love with the 16bit era look! So I went for that pixelly look, sharper sprites, kind of a mash up of styles. But cool! Wii U Go: What made you choose the Wii U as a platform for Terra Incognita? Dan: I didn’t really choose Nintendo, I was contacted about my game when it was in its early stages. I am so happy to be working with this platform in mind! I have always been a huge Nintendo nerd. Wii U Go: Can you explain a bit about the story Wii U gamers will encounter? Dan: As for the story in Terra Incognita, this is something we have been really secretive about. So this the first we have talked about it. The story is set on Terra. An ever changing world, its people are currently struggling through a civil war, the Valganis Imperial Army is Ruled by a cruel man. Lord Valganis. Who according to rumours, seems to wield some sort of magical ability. There is definitely more to this man than meets the eye. The player wakes with no memories except for his name, as you progress through the main story the players memories will come rushing back. And you will be left with some game changing decisions to make. The story will be deep and feature tales of Love, friendship, brotherhood and betrayal. Wii U Go: Will the game make any particular use of the Wii U Gamepad’s features? Dan: For the Gamepad, we are looking at using it for a clean inventory management, so the player can use items and equip gear on the move. Without having to pause the game and use the in game menu. Also for changing equipment/using special abilities in battle. Wii U Go: Do you plan to develop more titles for the Wii U in the future? Dan: As for developing more for Wii U in the future, I think we want to see how Terra is received first. After all, Terra was initially meant to be a Windows/Mac only release. But we are very excited to see our game on a Nintendo console. Awesome! Wii U Go: Is there are release window for the game that you can share with us? Dan: As for a release timeline, Dec 2013 for Windows and then we will get straight down to it! Wii U Go: Bonus question! What is your favourite Nintendo series? Dan: My favourite Nintendo series is Fire Emblem, Chris our new team member. Says Zelda!!! Click here to view the Kickstarter video for Terra Incognita. This is shaping up to be great, following progress on kickstarter . I am waiting for PC version, but Wii u is cool! Wait a minute…Those character designs are stolen straight out of Suikoden! They just changed the coloring and tampered with the hair a little bit. Seriously, look up Suikoden 1 and 2. WTF! I’ve looked it up, and they don’t look the same. They look similar, but that’s totally different than saying they stole something. Provide an example, because I certainly don’t see how they could be what you claim. If the designers are going to steal things straight out of other games then we should boycott this product. It’s one thing to be inspired by other games and another thing to just steal designs from them. But as for these sprites, I made them myself, in a image manipulation program that rhymes with Pimp. 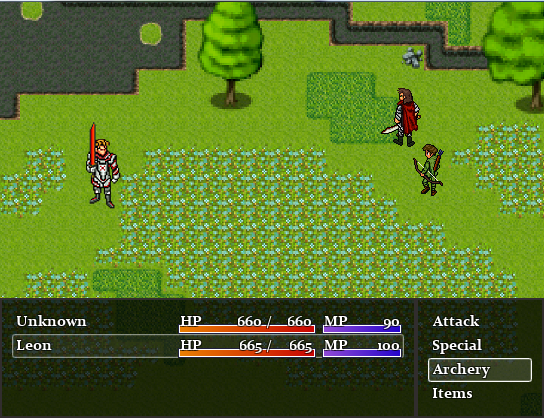 From scratch, certainly inspired by Suikoden. For the sprites, artistically speaking, SUI has been my biggest influence. Stolen is strong word though. Please be careful with those sort of words. Saw this artilce link on the terre incognita kick starter update page. You should have seen the early sprites for this game, they were completely different. Obviously they are just adapting their work and FYI Jeff. But would you bash this game if they used small round sprites? I played every single suikoden game growing up. These designs are suikoden like, but naaah. Not stolen, i for one, support this game. Its ok to be influenced artistically by other games. Thanks chaps, its great to hear that people can actually view a design of similar style as inspired. Myself and the new artist have been working really hard, for hours at a time, sat drawing pixel art. Some of the older stuff is super cringe/bad. But that was either place-holder, for showing off my new game engine, after the move from RPG engine. Or was quickly thrown together to showcase the game-play. Its never nice to see negative comments about my game, it is something I need to get my head around as a noob game developer/designer. So thanks to the people not writing my game off, sorry its not another Minecraft Clone Jeff.